Sometimes you need to talk to someone with first-hand experience to really understand the industry. Actor, writer and producer Katherine Press invited screenwriter Rob Williams along for an interview, and here they discuss how he started working in TV drama, how to handle editor’s notes and the world of High-End TV drama. Interview from December 2017. Katherine Press – Hi Rob, it’s great to have you here! To start us off, can you tell us a bit about your route into the screenwriting? Rob Williams – It’s a pleasure to be here, Katherine! Well, I was at Penguin for six years as Creative Director, running three marketing teams. I was basically an in-house ad agency. However, I had always wanted to write, and I’ve always loved TV drama. I met a script editor from Doctors, and she encouraged me to write a spec script. I did that, and in 2008 I left Penguin to go and attend the Writers Academy. KP – What was the process of getting your script to commission stage with Doctors? RW – Well, I was invited to attend the Doctors Academy, and we developed ideas there. That – eventually – resulted in the commission I needed to get a place on the Academy. For the other episodes I did, I submitted ideas to a script editor – the more the better, and as concise as possible – until one chimed with them. The show itself turned out to be a great format to tell my own stories in. KP – That’s a really interesting point about finding your instinct. Have you found the script-editing process useful? What’s it like to be edited? RW – The script editing process is always useful, I think. Anybody smart reading your work will only make it better. I’m a big believer in notes and having a healthy attitude towards them, but God, it’s hard! I’m going through the process right now and any criticism always feels like an attack, however nicely it’s phrased. The cruel thing is that for the work to be any good it has to come from somewhere real – but that’s the very thing that makes the notes hurt so much! RW – My advice is to say nothing when you get notes, because in my experience, nine times out of ten, you would defensively snap ‘you don’t understand’ on hearing them for the first time. 24 hours later, though, you realise what a great note it is, and how much it could improve the episode or series as a whole. Mull it over and come back later. KP – How much are you able to come back on notes and decisions you don’t agree with? Presumably that’s a little different now you’re writing your own projects? RW – I try to not to let it be different because it shouldn’t affect the quality of the note. I think you have to pick your battles and be honest with yourself: is this about making the script better, or is this hurt pride and a reluctance to kill one of your babies? If you can be your own script editor first, that makes a big difference and helps you be a bit more objective. KP – How does writing for continuing drama compare to writing for your own series, and how does the situation compare in terms of script editor notes? RW – I do think there are differences. On continuing shows you usually have to take a more deferential position, because you don’t necessarily know what’s come before or is coming afterwards. Also, there are particular production issues you may have to work around. There’s a joy to that too, of course – when it’s your own show, the buck stops with you, and you have to give the final word. However, I think it’s important that you surround yourself with people you’re sure will give you quality notes – and a hard time if necessary. In essence, though, the process is the same, and the problems you face are the same. KP – How do you view High End TV drama? Is it very different to other drama, or is it just drama with a bigger budget? RW – Script-wise the differences aren’t huge, but perhaps there is more time to ‘breathe’ and to tell a story without needing to deliver hooks constantly. The biggest difference is that the money is on the screen, and – consciously or otherwise – I think the audience recognises that now. That applies to the quality of the cast as well as the visual aspects of the production. KP – Do you find there are any constraints to writing High End drama, in that everything has to be so very… big? KP – Is the career route different if you are going into the Amazon/Netflix world, rather than through traditional UK production companies and shows? RW – No, I don’t think so. As I say, the craft and the issues are the same – the real differences only really come with distribution channels, and that shouldn’t be the writer’s concern. Story is story. Working in America is another thing, and if you want to do that, yes, you may choose another path – writers rooms etc., but even then you’ll need a great spec to even get a foot in the door. Generally, though, you’ll get noticed if you write well and come up with ideas – and don’t underestimate how important it is to be a pleasure to work with! There are enough good writers around for people not to have to work with unpleasant ones. KP – How do you feel about screenwriting competitions? Also, is it a useful experience to volunteer as a script reader? RW – You can never read too many scripts as an editor or writer, so yes, definitely! Some of the best writers I know have been script readers or editors. Competitions, I’m less sure – I have no real experience of them. In terms of their value, if it helps you get a spec script finished to hit a deadline, then great, but if not winning is going to put you off and make you think everyone else is better than you, I’d say no. It only takes one person to love your writing, remember, and this is an incredibly subjective field. KP – Finally, Rob, have you got any gems of advice from script editors over the years – or any absolute no-goes? Don’t start with emotion was a good one I got early on. Don’t use names in dialogue too much. And, most importantly, always, always deliver on time! I can’t stress that enough. KP – Rob, this has been wonderful. It’s great to have a chance to chat to you, and you’ve given us some fascinating insights. Thank you! RW – Thank you for having me, Katherine! It’s been a pleasure. Rob was Creative Director at Penguin Books for five years, and since 2009 he has been working as a screenwriter. He wrote on all of the BBC’s continuing dramas and ITV’s DCI Banks, then created and wrote the series Chasing Shadows for ITV. 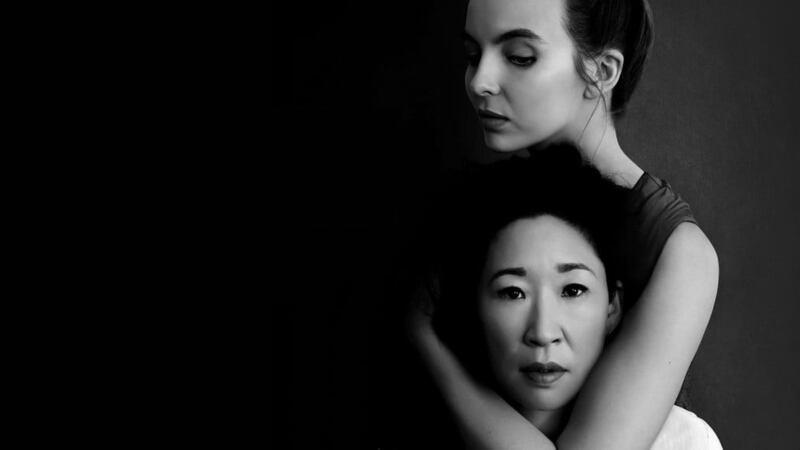 After two years in writers’ rooms in London and L.A. working on the first two seasons of The Man in the High Castle for Amazon Studios (as a writer and producer), he wrote on Killing Eve for BBC America. He is currently writing an original series for BBC 1 called The Victim, as well as developing other projects in England and America. Discover more about our Story for Screenwriting course. Subscribe to receive our newsletter for the latest news and bursary information.